When I was starting university, I didn’t really think too much about writing, I was keener on listening and reading about all those interesting topics in the field that I particularly liked. Academic writing creeped up on me slowly, the assignments got longer and longer, and then, all of a sudden, there was this daunting idea of writing (what now seems ridiculously short) bachelor’s dissertation. Me and my colleagues used to finish our papers only a couple hours before the deadline, few of us were organised enough to start writing earlier and then revisit and edit the text. We were taught how to reference and structure the essays, true, but nobody ever told us how to write. We ended up pulling all-nighters to produce large amounts of text, barely coherent at times. This wouldn’t be much of a problem if yours truly didn’t have an appetite for academia and proceeded to her postgraduate studies seeing academic writing as an inevitable punishment and a cold shower at the end of otherwise enjoyable learning journey. I absolutely love to communicate! I talk incessantly, I write notoriously long emails, I fill in feedback forms with full sentences (note the plural! ), I’m the one who cannot get over Twitter’s 140 character limit and the annoying person that makes you click on “See more” on Facebook. I even send hand-written letters and postcards. However, for some reason, this all means nothing when it comes to academic writing. As one of my academic writing trainers diagnosed immediately – I have a whole committee inside my head (that actually explains a lot…) and every sentence that I hesitantly put together is minutely scrutinised and soon binned. It’s not good/clear/complex/original enough. Or, if the poor thing makes it to the screen: This adverb doesn’t work well here, it sounds like you’re apologising/shouting/making stuff up… Delete. It doesn’t help either that I have a peculiar combination of perfectionism and insecurity going against me. I don’t have a habit of academic writing. I do it when I have to. I have never in my entire life entertained the thought: Oh, I have some free time, why not sit down and write a paragraph or two? (Ok, I’ve also not had that much free time lately, but that’s a whole different topic…). I’ve discursively constructed writing as something unpleasant and you know what they say about repeating a claim many times. I relish procrastination and have an attention span of a goldfish. (Which is about 9 seconds. Yes, I’ve googled that for you. You’re welcome.) I don’t think this requires further elaboration. The list could go on, but I feel these are my major problems. As silly as it may sound, I’m not sure if I was fully aware that embarking on a PhD entails producing an 80,000 words long contribution to the existing knowledge in my field, plus occasional papers, reports and other pieces. As in, actually sitting down at one’s desk and writing all of that. Not to worry, it dawned on me very early in the first term, and I must admit I got a bit scared. Ok, a LOT! …so how will I then do this PhD thing? Reading and learning about the writing process. There are some fantastic resources out there, books, blogs, forums, all packed with helpful advice and techniques other people have tested. Know thy enemy, eh? 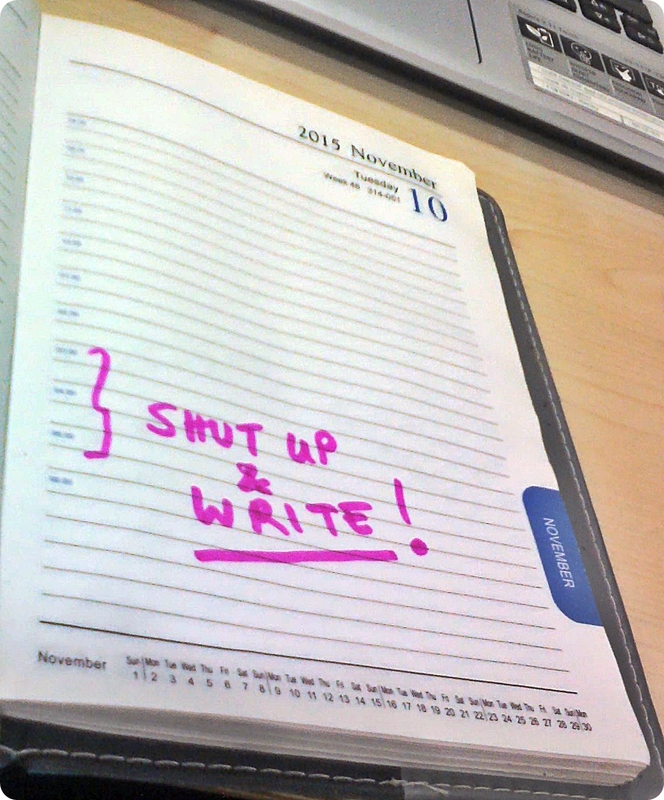 Scheduling my writing. I’m great at this. Scheduling, I mean; actually getting down to writing… let’s just say it’s something I still need to work on. Making myself accountable. I’ve found that setting frequent deadlines works quite well for me. Making pacts with colleagues helps too, I don’t like letting people down. The bottom line is, #AcWriMo definitely gets a “yaaay” from me; it’s nice to know that you’re not alone in this and a bit of encouragement and new tips can only help. This was super helpful!! This is my 1st year as a doc student and these are all of my feelings when I think about writing. I’m looking forward to the resources you share for improving academic writing! !